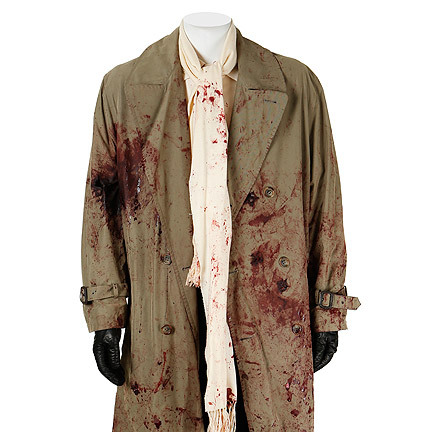 This outfit was worn by the character “Joe Blake” portrayed by actor Bruce Willis in the 2001 film “Bandits”, co-starring Billy Bob Thornton and Cate Blanchett. 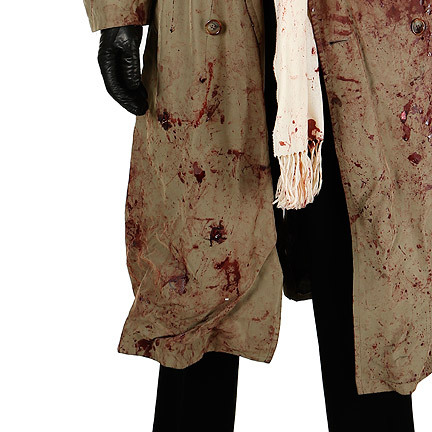 The signature costume is heavily distressed with blood and consists of a khaki double breasted trench coat with unused internal squib packs and bullet holes throughout the garment, cream Tommy Bahama button down shirt with two patch pockets, cream cashmere Bergdorf Goodman scarf with fringe, black leather cashmere lined gloves, black pleated Banana Republic pants, black leather belt with silver buckle, black socks, and size 9.5 black authentic leather Mephisto loafers. 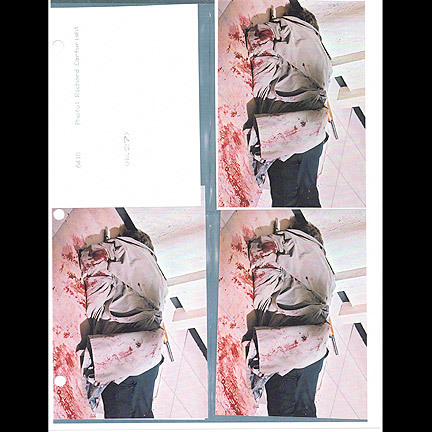 Attached is the production hold tag with "BW #1 Bloody" and "HOLD" on verso. 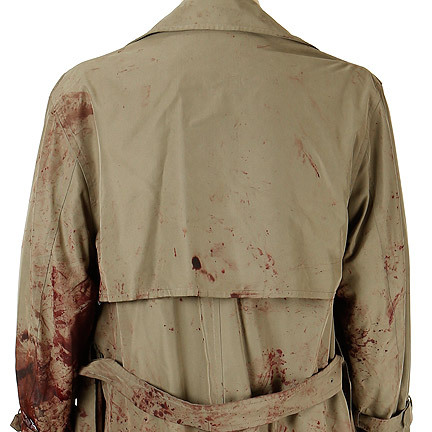 A costumer tag with "Jimmy [Underlined] Bruce's own find doubles if possible" is attached to the shoes. 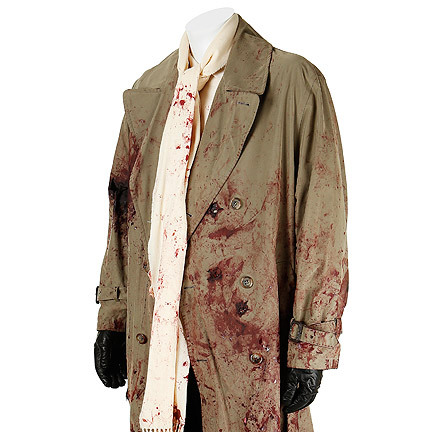 Costumer tag with "JOE BLAKE #1 Belt Throughout Movie BW" is attached to the belt. 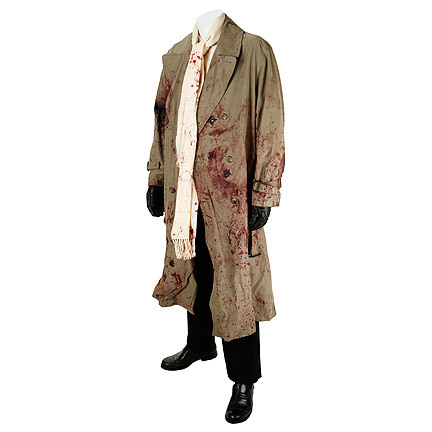 Mr. Willis wears this costume in scenes 216-218, during his final heist with partner "Terry" (Billy Bob Thornton). 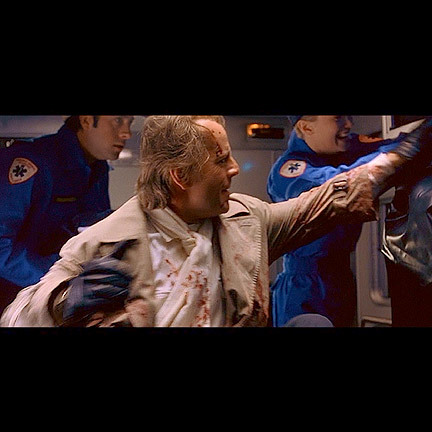 With the help of the entire Sleepover Bandit crew, they fake their own deaths while robbing a bank in Los Angeles, allowing them to make a clean getaway to Mexico where they retire. 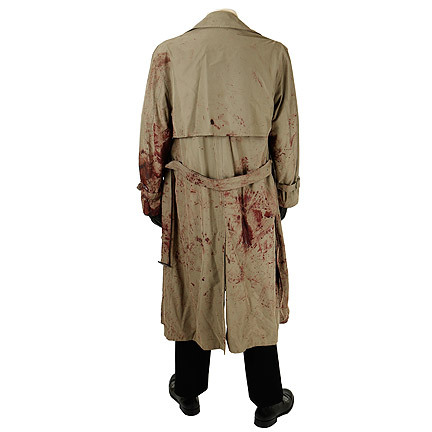 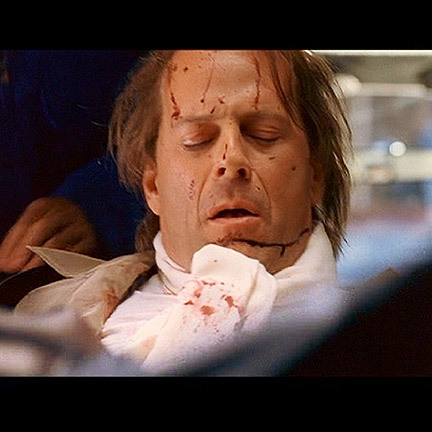 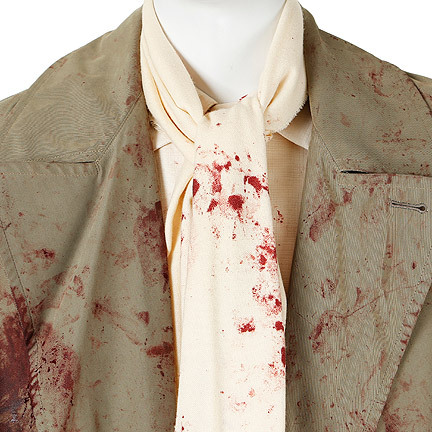 The blood stains on the trench coat lapel and scarf are screen matched to scene 218 and are also visible in the continuity images. 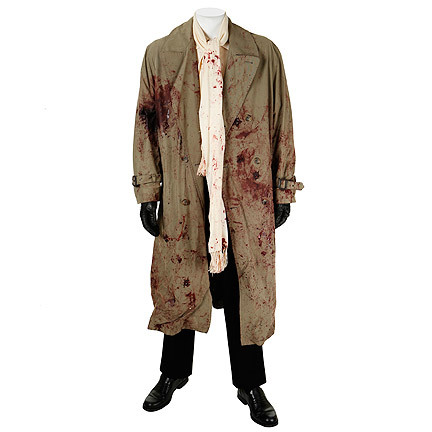 A copy of the costume continuity page is included with the sale of this costume.